A proposal was offered to strip, repair and recoat both of the upper decks with Deckmaster System R this was to include the unusual step of removal of 180 tonnes of soil and ballast from the perimeter planting trough’s stripping the degraded coating. 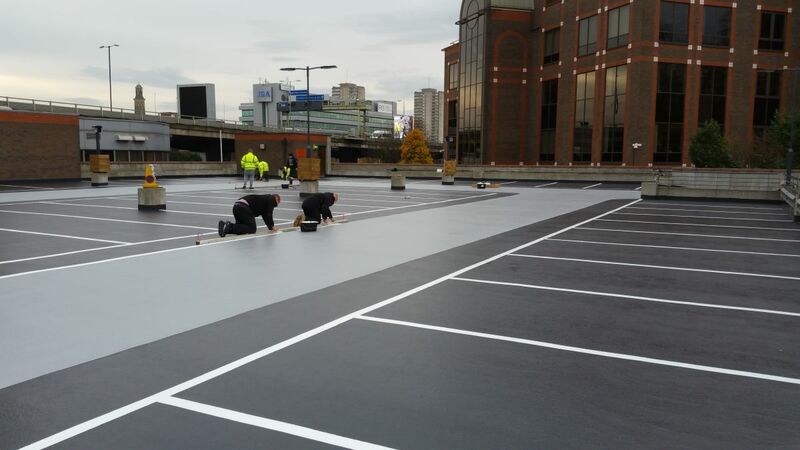 We then applied a recoating to soil depth with Deckmaster resin, then replaced all of the aggregate soil membrane and the 180 tonnes of soil itself. This soil work was all to be done by hand as this was not possible with machine. 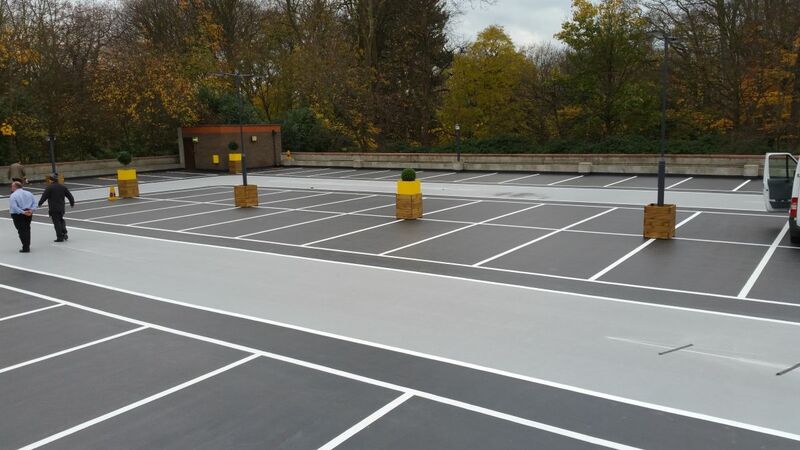 Using 3 x contractors from Deckmaster’s approved installer list a competitive tender was sought and CPC Car Park Coating were eventually selected to carry out the work. 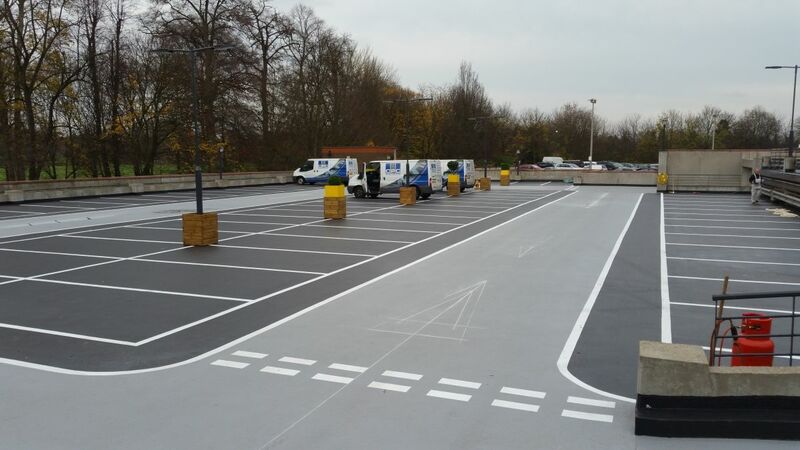 The project as you can see from the project photos has been a major success, the client now has a modern, safe and aesthetically pleasing car park.